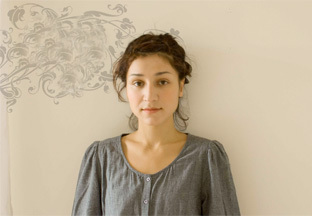 Wikipedia: Laleh Pourkarim (Persian: لاله پورکریم, born June 10, 1982 in Bandar-e Anzali, Iran) is an Iranian-Swedish singer-songwriter. She came to Sweden when she was 12 and went to school in Angered, Gothenburg. Before that she had lived in Azerbaijan and Minsk, Belarus. She personally produced and wrote her 2005 self-titled debut album, in which she sang in three different languages: English, Swedish and Persian. At the Swedish Grammis Awards for 2005, she received seven nominations and won three: Artist of the Year, Producer of the Year, and New Artist of the Year. She also had a major acting role in the Swedish movie Jalla! Jalla!, directed by Josef Fares, which was a big success at the Swedish box office in 2000. She is a daughter of Houshang Pourkarim, a prominent Iranian sociologist from Bandar Anzali. Memorial service for those killed in Breivik attacks, Norway, July 22, 2012.